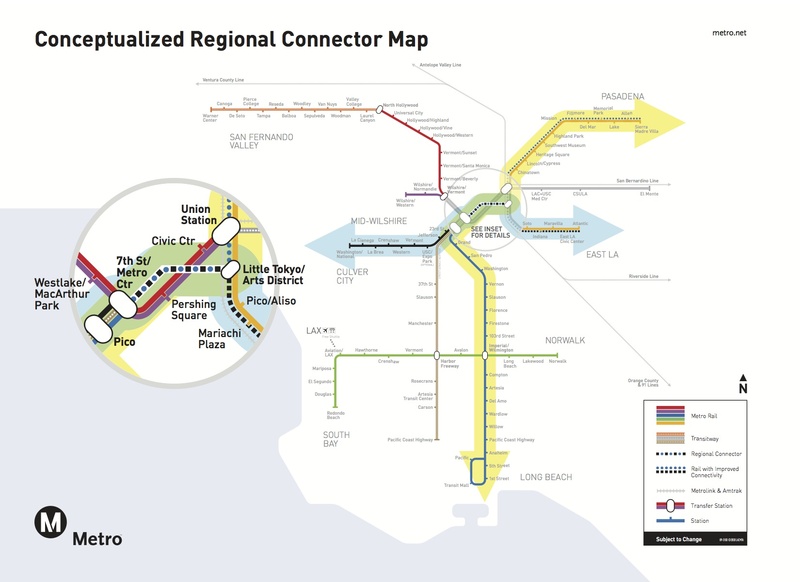 This map shows the planned concept for operating the Connector. Trains will eventually run between Santa Monica and East Los Angeles while another set of trains will run between Azusa (last stop on the Gold Line Foothill Extension) and Long Beach. Passengers on all lines will no longer have to transfer at either Union Station or 7th/Metro Center to travel through downtown L.A. Click above for a larger map.